While citizens are protesting for nothing but their personal desires to see run away government spending stopped and are being called astroturf by Nancy Pelois and others, liberal funded nonprofit groups are recruiting student with big bucks plus benefits to go out and recruit, protest, for liberal causes like nationalized health care. Steven Crowder goes under cover and films his job interview with one of these agencies. Thanks Steven! Tags: Astroturf, Barack Obama, conservative, Democrat, liberal, Nancy Pelosi, Republican, Steven Crowder, unemployment, video To share or post to your site, click on "Post Link". Please mention / link to the ARRA News Service. Thanks! by Phyllis Schlafly: Speaker Nancy Pelosi said one correct thing: health care legislation is our "opportunity, not of a lifetime, but of the century." Passage of the bill she supports would put us forever on the road to trillions of dollars in debt, bankruptcy, and European mistakes; defeat of the bill will safeguard the unique American recipe for liberty and prosperity. Pelosi and her friends would give more control to patients over their medical care IF the liberals really wanted to improve quality and reduce cost. Instead, they are trying to push our nation in the opposite direction, taking away control from patients over access and choices for medical care. We should give individually owned health insurance the same tax deduction that has been enjoyed for decades by employer-provided health insurance. This is a matter of fairness; where are the equal-protection litigators when we need them? The Democrats are toying with going in the opposite direction: eliminating the tax deduction for employer-based plans. That translates into a big tax increase for the middle class. We should repeal all state laws that forbid insurance companies to compete across state lines, so that individuals can buy health insurance in states other than their own. Where are the free-trade devotees when we need them? We should repeal all government mandates on benefits that health insurance is required to cover so individuals can choose the insurance package that fits their needs. These last two changes would be the best way to establish real insurance company competition. The left has started a nasty attack against John Mackey, founder and CEO of Whole Foods Market Inc., because he wrote an article in the Wall Street Journal endorsing these common-sense reforms. He practices what he preaches; his company provides a popular HSA plan for its employees. The left is incensed that Mackey not only supports practical reforms but also explained the folly of making health care a massive and costly entitlement that would create trillions of dollars of new unfunded deficits and empower government instead of people. The left is venting its rage on Twitter, Facebook and the blogosphere and even trying to organize a Whole Foods Boycott. I prefer Whole Foods over Nancy Pelosi, so I'm going to double my shopping at Whole Foods and urge liberty-loving and cost-conscious Americans to do likewise. I'm a fan of Whole Foods' healthy foods and vitamins anyway. Here are two more health-care reforms that Mackey didn't mention that I would add to the list. The Democrats craftily built two loopholes into their 1,000-page bill that must be closed. Tags: Impeach Nancy Pelosi, nationalized health care, Obamacare, Phyllis Schlafly To share or post to your site, click on "Post Link". Please mention / link to the ARRA News Service. Thanks! William J. Murray, Chairman Religious Freedom Coalition: Suddenly President Barack Obama changed course and directed his Justice Department to attack the Central Intelligence Agency. Not only was a "special prosecutor" appointed to investigate the "crimes" of the CIA, but the responsibility to interrogate "high profile detainees" was taken away from the CIA. A special "interrogation unit" will be set up and run directly by the Obama Administration. Although the unit will he housed by the Justice Department, it will be operated directly by the White House. This is stuff straight out of third world African dictatorships. Presidents and Prime Ministers in democratic states do not operate police powers; that is up to separate agencies that are independent. My video taped comments on this development can be seenon YouTube. Congress must bar the Obama and future Administrations from conducting interrogations. Tags: CIA, interrogation unit, Obama administration, Religious Freedom Coalition, The White House, William J. Murray To share or post to your site, click on "Post Link". Please mention / link to the ARRA News Service. Thanks! by Sara Lehmann, The Jewish Press: Mike Huckabee, the former governor of Arkansas and a 2008 Republican presidential candidate, completed a three-day tour of some of Israel's holiest and most contentious sites last week with leaders of Ateret Cohanim. During his eleventh visit to Israel since 1973, Huckabee toured Jewish neighborhoods within East Jerusalem and Samaria and consistently affirmed his support for Jews living in any and all parts of the Jewish homeland. . . .
Huckabee's statement that the "United States government shouldn't tell Israel where Jewish people can live" was a direct rebuke of the Obama administration's pressure on Israel for a settlement freeze. And his dismissal of the notion of "two people owning the same piece of real estate" was aimed at advocates of a divided Jerusalem. . . . Question: How does seeing the facts on the ground in Israel change your perspective regarding Jerusalem and the settlements? Huckabee: I believe Jewish people have the right to live where they want to. All over Israeli territory, Arabs come and go freely. I thought it was very interesting and sort of telling that I went into neighborhoods where Jews were told they can't go because Arabs live there, but at the same time Arabs are not told they can't go into neighborhoods because Jews live there. One of the things I would be very careful is not to take issue with Israeli policy because that's an issue the Israelis have to deal with. I can speak to my own personal views as to American policy. Americans have pushed for a two-state solution. Now if a two-state solution means there will be a settlement in Gaza for the Palestinians, and the Israelis decide that's what they want, that's different than splitting Jerusalem down the middle - or worse, giving Jerusalem completely over to the Palestinians. I don't think there is any realistic way Jerusalem can be governed effectively if it's divided. I cannot imagine how it would work. Question: How do you explain Obama's position toward Israel, specifically regarding the settlement freeze and his opposition to building in Jerusalem? Huckabee: His position is inexplicable to me. It violates what he said during his campaign. It violates what he promised when he went before AIPAC and gave them assurances that he would not make any major changes to policies that would threaten Israel's security. He spoke glowingly of the need for security. I have no explanation other than to note that he also hasn't kept his word about transparency in government. He hasn't kept his word about no bills being signed until they've been on the Internet five days and about not raising the debt and deficits and not raising taxes on the middle class. I guess we should just come to believe that everything he said in the campaign no longer can be held to him because he's not been very faithful so far in keeping his promises. . . . Question: The recent Fatah conference in Bethlehem dispelled any notion of the Palestinians ending incitement against Israel. Why then this continued pursuit of a two-state solution nonetheless? Huckabee: One of the reasons for my reservations concerning the whole idea of the two-state solution and dividing Jerusalem and ceding land is because as I look at that policy over the past thirty years and it simply hasn't worked. Every time Israel gives away land for peace, they get neither land nor peace. They give up land, but they don't get peace. The ultimate insult to what I think was really good-faith efforts was that when the Palestinians had the chance to conduct elections, whom did they put into power? Hamas! My own government calls them a terrorist group. That to me is making it even more difficult to explain the Obama administration on "let's concede more." Why concede more to a terrorist group that doesn't believe Israel should even exist? I am totally bewildered by that point of view. Question: Despite Israeli concessions, anti-Zionism seems to have morphed into anti-Semitism, as illustrated during the recent Gaza War. In light of this, should Israel just ignore world opinion in its pursuit of secure borders? Huckabee: It's better to be respected and feared than it is to be loved. If you're seeking to be loved you may not be respected, but if you are respected you may end up being loved. It just may take a while. But if love means you're being taken advantage of, that's not love at all. I've always felt Israel was at its best when it took a very clear stand, for example against negotiating with terrorists, and when it said, "If you strike us we will strike you back." I know that most Americans have an appreciation and respect for that. I stood in Sderot last summer and saw hundreds upon hundreds of the eight thousand Kassam rockets that had been fired into schools and homes indiscriminately, with no military targets. Where was the international press demanding that something be done? Where were those same reporters who went over there [Gaza] weeping? How many Kassams were enough before they finally had to take action? How many thousands of those missiles had to be fired into people's lawns, their schools and their kids' nursery before at one point they said "that's it"? How many would it have taken the United States to say that's enough? One. We would have gotten there 7,999 missiles sooner. And for Americans to act like the Israelis were wrong to have defended themselves against that is beyond any explanation that I can give. Question: Had . . . gone on to win the presidency, what policies would you have implemented relating to Israel? Huckabee: I believe Jerusalem should be the site of the U.S. embassy. It's the capital of Israel. It's not our place as an American government to determine what the capital of another country is. We don't do that with anyone else on earth. And it's incredible to me that we would say we're not recognizing the very capital that is the seat of Israel's government, where the prime minister governs and resides and where the parliament meets. It makes no sense. Tags: Arkansas, CBN, Israel, Jerusalem, Mike Huckabee, The Jewish Press, two state solution To share or post to your site, click on "Post Link". Please mention / link to the ARRA News Service. Thanks! by ALG News: When the Senate returns to business next month, Senate Majority Leader Harry Reid has already announced that one of the first orders of business will be to try to ram through the nomination of Cass Sunstein for the nation's "Regulatory Czar." Earlier this month, Senate Republicans had blocked a unanimous consent resolution to approve Sunstein. And with good reason. But for their efforts, Sunstein would have been confirmed without any roll call. Now, it will require 60 votes to invoke cloture on the nominee. Sunstein was nominated in April to be Administrator of the Office of Information and Regulatory Affairs in the White House Office of Management and Budget. It has been dubbed the "Regulatory Czar" since all major regulatory actions by the federal government are subject to review by this office. In Sunstein’s dangerously detached worldview, money-hungry trial lawyers could sue on behalf of every Polled Hereford in the land. And , everyone knows, they would. Clarabelle Cow could sue Ronald McDonald. Only the U.S. Senate can stop Sunstein. But they will only do so if the nation’s farmers and cattle ranchers stand against him. In short, a vote for Sunstein is a vote against agriculture, which could be drowned in years if not decades of litigation if Sunstein has his way. Sunstein is a menace who even opposes animal testing, which as Wilson noted, “is a critical practice to testing the safety—for humans—of everything from drugs to make up to space exploration has saved countless millions of human lives.” And yet Sunstein would end it altogether. The American people have a right to choose what to eat, whether it be meat or produce. But if Sunstein’s extremist views find their way into federal regulations, that right could disappear in the blink of a bureaucrat’s eye. Barack Obama’s radical appointment is greatly alarming. It is up to the Senate to stand in the way, and for farmers and cattlemen nationwide to raise the outcry against him. Tags: ALG, animal rights, Cass Sunstein, Glenn Beck, political cartoon, Regulatory Czar, Sunstein, video, William Warren To share or post to your site, click on "Post Link". Please mention / link to the ARRA News Service. Thanks! by Declan McCullagh, CNET News: Internet companies and civil liberties groups were alarmed this spring when a U.S. Senate bill proposed handing the White House the power to disconnect private-sector computers from the Internet. The new version would allow the president to "declare a cybersecurity emergency" relating to "non-governmental" computer networks and do what's necessary to respond to the threat. Other sections of the proposal include a federal certification program for "cybersecurity professionals," and a requirement that certain computer systems and networks in the private sector be managed by people who have been awarded that license. . . . Tags: Barack Obama, cybersecurity, Cybersecurity Act 2009, Czar, internet, President To share or post to your site, click on "Post Link". Please mention / link to the ARRA News Service. Thanks! Over and over again we have heard the President tell us that conservatives and Republicans are out there trying to scare people, using fear mongering tactics to make their case against Health Care Reform. He wants to listen to the people, so he says, but obviously the people are being held captive by those big, bad, scary conservatives. Well, we actually have to ask ourselves, who are really and truly the ones using fear to sell their agenda? Tags: Barack Obama, Barbara Boxer, Democrat National Committee, Democratic Party, Fear, government run, Health Care Reform, Jim Moran, Mongers, Nancy Pelosi, Obamacare, Scare Tactics, Socialized medicine To share or post to your site, click on "Post Link". Please mention / link to the ARRA News Service. Thanks! Did the White House Green Light Lockerbie Bomber's Release? by Ken Blackwell,Contributing Author: The recent events in Scotland show the futility of treating a war as a criminal justice issue. Did Gordon Brown get a green light from the Obama administration to let a convicted murderer, Al Megrahi, go "scot free"? By now we all know that the Obama administration would prefer to call the War on Terror an "overseas contingency operation." And they'd prefer to pursue CIA interrogators more than they'd like to go after terrorists. All of this is in keeping with their September 10 mindset. They want to return us to the way the Clinton administration viewed terrorism-- as a problem of criminal law enforcement, not something to be prosecuted as a war. This, despite the fact that Usama bin Laden took advantage of the Clinton-Lewinsky scandal to declare war on the United States. And despite the fact that Saddam Hussein used the distraction of the Clinton's domestic troubles to boot U.N. arms inspectors out of Iraq. Americans paid with their lives for that fatal error in judgment. The attacks on the U.S. embassies in East Africa (1998) and the suicide mission to blow a hole in the hull of the USS Cole (2000) show how lethal such misjudgments can be. The recent events in Scotland show the futility of treating war as a criminal justice issue. The only man convicted in the 1988 bombing of PanAm Flight 103 over Lockerbie, Scotland, Abdel Baset al-Megrahi, was released unconditionally after only eight years in prison this month. He had been sentenced to life in prison. Adm. Mike Mullen, Chairman of the U.S. Joint Chiefs of Staff, told the press he was appalled, but qualified it by saying he was speaking "just personally." 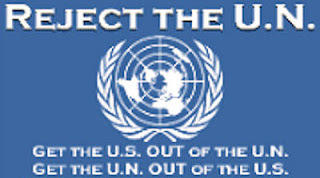 The State Department's Richard Kolko wouldn't even go that far." There remains an open indictment in Washington, D.C. and an open investigation." That should strike fear into al-Megrahi's heart. And in Libyan strongman Muammar al-Qaddafi's heart, too. President Reagan was roundly criticized for launching a raid against Qaddafi in 1986. But the president said then "they can run, but they can't hide." He was determined to let those who attacked Americans know that we would pursue them to their lairs. Once, when Libyan jets' radar locked onto U.S. jets over international waters, Reagan left orders to shoot down any aircraft making aggressive moves against our forces. How far would we pursue Qaddafi's jets once they'd attacked us, Reagan was asked. "Right into their hangars," he replied. The release of the only man convicted murdering 270 innocent civilians stinks. It should result in the toppling of Prime Minister Gordon Brown's Labor government. Surely no one can have confidence in his spineless government. But the larger question is this: Did Gordon Brown get a green light from the Obama administration to let this convicted murderer go "scot free?" Did the British government even consult with Washington before taking this despicable action? What does this discreditable affair say about the "special relationship" that has existed for a century between Great Britain and the United States? We are only seven months into this new administration. The early indications are not good that we have a seasoned and serious team manning the helm of the ship of state. For the sake of the country we all serve, let's pray they learn quickly. Mr. Ken Blackwell is a conservative family values advocate. He submitted this article to the ARRA News Service Editor which first appeared in FOX News.com. Blackwell is a former U.S. Ambassador to the United Nations Human Rights Commission and is a senior fellow at the Family Research Council and American Civil Rights Union. Tags: Barack Obama, bomber, Grodon Brown, Islamic terrorist, Ken Blackwell, Scotland, UK, United Kingdom To share or post to your site, click on "Post Link". Please mention / link to the ARRA News Service. Thanks! This evening Rick Crawford formally announced his candidacy for a 2010 run for Arkansas’ First District as United States House of Representatives. At present, he would be running against the Democrat incumbent Congressman Marion Berry. Crawford's announcement was made at a public event held at the farm of David Hodges in Jonesboro, Arkansas. Crawford was literally born in the service of his country on a military base while his father served our country. After graduating from high school, Rick enlisted in the United States Army where he served as a bomb disposal technician. He served four years and advanced to the rank of Sergeant and earned numerous medals for service in the U.S. and Southwest Asia. He also had the privilege of serving on numerous U.S. Secret Service security details supporting presidents Ronald Reagan and George H.W. Bush among other U.S. and foreign dignitaries. He understands his "oath" to preserve and to protect the United States of America and the need to support our military. After servicing in the Army, Rick attended Arkansas State University in Jonesboro and earned a B.A. in Agriculture Business and Economics. Since graduating, Rick’s career has been primarily focused on agriculture in both agri-communications and general agri-business. He has been a news anchor and agri-reporter on KAIT-TV in Jonesboro, Farm Director on KFIN-FM in Jonesboro and producer/anchor of the syndicated Delta Farm Roundup TV show airing in Cape Girardeau, Missouri; Jonesboro, Arkansas; and Greenville, Mississippi. Rick has also been a featured agri-columnist in the Northeast Arkansas Business Today publication. He now owns and operates the AgWatch Network – a farm news network heard on 39 radio stations in Arkansas, Missouri, Tennessee, Mississippi and Kentucky as well as TV stations in Little Rock and Jonesboro. In 2006, Rick also helped shape agriculture and agriculture policy for former Republican Congressman and Undersecretary of Homeland Security Asa Hutchison bid to be Arkansas Governor. 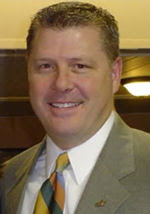 Rick is a broadcast council member of the National Association of Farm Broadcasting. Rick is also a member of the 4-H Foundation Board of Arkansas. Rick currently serves as first vice-chairman of the Craighead County GOP Committee. Rick and his wife Stacy - also an ASU Alumnus - live in Jonesboro. They have two children – four-year-old Will and 22-month-old Delaney. Tags: AR, AR-01, Arkansas, candidate, Chicago politics, Marion Berry, news, Republican, Rick Crawford, US Congress To share or post to your site, click on "Post Link". Please mention / link to the ARRA News Service. Thanks! Even Democrats can’t ignore this approaching tidal wave of debt. While meeting with constituents in Montana, Democrat Sen. Jon Tester admitted that he is "worried about the national debt.” Tester was also waffled when asked about his support for a government-run health care plan, which President Obama has made central to his reform plans. Referring to the deficit, The Washington Post editors wrote, “The time is fast approaching for the president and Congress to face that reality, too.” But it’s just as applicable to American’s skepticism of the Obama administration’s assurances about his plans for health care reform and their effects on Medicare and Medicaid. Bill Smith, ARRA Editor: Let's put things into personal terms. The remnants of the "greatest generation," who fought back global fascism and then initiated the greatest economic post-war recovery in history while feeding and sustaining its former enemies; returned to Korea to beat back the Communists; put a man on the moon; etc., are being asked in the time of life when they are most vulnerable to sacrifice their own health care. And so are their children - the Baby Boomers - who fueled and sustained the greatest innovations and economic growth in our history (outside of the prior geographic expansion of the U.S.); fought in in Vietnam, Grenada, Somalia, the Gulf War and helped defeat the Soviet Union in the Cold War. The generations which were continually told by the government that social security and medicare would be their safety net for their retirement but is now being told - "oops" you are going to have to accept less medical care. And they are being told this by a young president who work as a community organizer and was most likely paid by grants from our taxes. He never saw his parents work as his foreign father was absent in other countries and his mother lived separately from him most of his life. His parents and grandparents are gone except for one grandmother in Kenya. You can read his biography. Being offered little support from the traditional structure of American life, he is therefore disconnected from America's greatest generation and the present baby boomer generation. We can observe his lack of empathy towards these generations. President Obama and his administrative Czars, staff members, and political appointees is seeking to reduce care to the elderly and to those about to be covered by medicare. Why? - Well, they say they want to cover "everyone" with a health care plan. The elderly and those soon to be under the "promised - paid for" - medicare are being asked to give up present or future needed medical coverage for whom? For those who don't work? For those who are in the United States illegally? We have already funded SCHIPS for the kids. We funded Medicaid for the disabled and others who could not pay. We have already funded health care for anyone walking in to an emergency room. We have sacrificed; covered the bills; after all, the Government "promised" that by paying our mandated premium payment for medicare (which were also taxed), we would in our "years of need" be covered by medicare. They just forgot to mention, the coverage could be worthless. In less than 9 months, while promoting various "snake oil" solutions called national health care, cap and trade, auto bailouts, etc., the Obama Administration and their Congressional supporters have accomplished the unbelievable -- they have created or mandated programs that are running up a cumulative 2010-2019 deficit of $9 Trillion. Please note that this is the spending deficit above the spending covered by revenue. Imagine what this total government spending currently is and will be over this period of time? They are enslaving our grandchildren and great grandchildren that we love so dearly with this debt. They are mortgaging everything you own even your health care. To paraphrase a GREAT book, "Be a debtor to no one because when you are you become their slave." People when is enough - enough? Wake Up! Did you and are you teaching your children and grandchildren to pay attention, to be alert? Share the truth with them. Wake up your neighbors, relatives and friends. Tags: deficit, medicare, nationalized health care, Obama administration, snake oil To share or post to your site, click on "Post Link". Please mention / link to the ARRA News Service. Thanks! 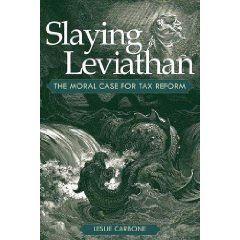 Leslie Carbone’s book, Slaying Leviathan: The Moral Case for Tax Reform has just been released. In Slaying Leviathan, Carbone argues that since the early twentieth century, U.S. tax policy has been designed to mitigate the natural economic results of both virtue and vice. When the government disrupts the natural order through taxation by creating incentives and disincentives that overturn these natural consequences, the government perverts its own function and becomes part of the problem-a contributor to social breakdown-rather than part of the solution or an instrument of justice. “With government foolishly trying to plunder America’s way back to prosperity, I’m hopeful that my book will make an important contribution to our national discussion over the moral hazards of wealth redistribution,” said Carbone. Leslie Carbone served as the director of Family Tax Policy at the Family Research Council, chief of staff to the late assemblyman Gil Ferguson of California, and a speechwriter for U.S. Secretary of Labor Elaine Chao. Her writing has been published in the Weekly Standard, the American Enterprise, the San Francisco Chronicle, and numerous other magazines and journals. She has lectured on more than 100 college campuses and has been interviewed on more than 250 radio shows. She lives in Fairfax, Virginia. Tags: Jack Kemp, Leslie Carbone, redistribution of wealth, tax policy, Tax Reform, Slaying Leviathan To share or post to your site, click on "Post Link". Please mention / link to the ARRA News Service. Thanks! That paragraph comes from the report entitled “Treatment of Noncitizens in H.R. 3200” by the non-partisan Congressional Research Service. Because I think it is important for you to have a copy, you can download it (as a .pdf) here. 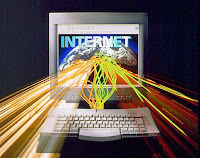 Tags: government healthcare, illegal aliens, illegal immigrants To share or post to your site, click on "Post Link". Please mention / link to the ARRA News Service. Thanks! Tags: government healthcare, MSNBC, political cartoon, political satire, racist, William Warren To share or post to your site, click on "Post Link". Please mention / link to the ARRA News Service. Thanks! Bill Smith, ARRA Editor: When polling numbers shows a senior senator in difficulty against potential candidates over a year out from the election, the news is bad news for that senator. And that is what is being projected for Arkansas' U.S. Senator Blanche Lincoln who is up for election in 2010 and has been feverishly raising funds and avoiding the public at town halls and TEA Parties in Arkansas. Public Policy Polling latest polling data released August 26th shows that Obama campaigning for Sen. Lincoln in in Arkansas would sink her race. While Barack Obama's National approval rating of 52%, in Arkansas, Obama has only a 40% approval rating. And that is expected to continue to fall in Arkansas. In fact, the polling numbers showed that a majority of voters in Arkansas think Rush Limbaugh has a superior vision for the country than Barack Obama. Blanche Lincoln's approval rating has dropped 9% since March. Currently, Lincoln has 36% approval rating and a 44% disapproving rating of the job she’s doing. Currently, with no candidates formally filed for office against her, she's in a statistical tie against three potential Republican opponents. And there are as many as eight candidates considering running against her. Gilbert Baker leads her 42-40, Curtis Coleman has a 41-40 advantage, and Tom Cotton trails Lincoln slightly 40-39. The numbers of course are more a reflection on Lincoln's unfavorable standing than that of the Republicans at this time. Other indicators of running against Lincoln is that 53% of the people polled were women. In addition, 48% of those polled identified themselves as conservative, and 39% as moderate, leaving 12% of her liberal friends. At the beginning of 2009, voters returned Senator Pryor to a new six term without opposition; however, , his approval rating, although higher than Lincoln, is now only 47% with a disapproval rating of 32%. The voters disappointment with a previously considered "more conservative" Sen. Pryor may weigh heavily on voters in 2010 when considering returning a more liberal Senator Blanche Lincoln . There is a growing "vote the bums" out feeling among the voters in Arkansas. Also, in Arkansas, continued open endorsement and support of Senator Lincoln by incumbent State constitutional officers (Governor, Lt. Governor, etc.) may place them at risk in 2010 if viable conservative candidates step forward to oppose them. As summarized by Tom Jensen, Public Policy Polling, "Clearly Lincoln could be beaten, but there are several reasons why she might survive too. The first is that none of her potential Republican opponents have shown the ability yet to raise the money to run a strong campaign. Whoever emerges as her opponent is also going to need to be able to keep their foot out of their mouth, something that's been a problem for some potential foes. The second is that Democrats nationally are in a recession right now and that goes a long way toward explaining these numbers.. . . Republicans have an opportunity here but it remains to be seen whether they can take advantage of it." Tags: Arkansas, Barack Obama, Blanche Lincoln, Curtis Coleman, Gilbert Baker, polling, Senator, Tom Cotton To share or post to your site, click on "Post Link". Please mention / link to the ARRA News Service. Thanks! Another Gitma detainee has been freed and released in Afghanistan. Mohammed Jawad, an al Qaeda operative, was arrested by Afghan police in December 2002 for allegedly tossing a grenade into a vehicle containing two US troops and an Afghan interpreter. His actions wounded three people. He is now about 21, was flown to Kabul, the Afghan capital, and released to family members. Jawad confessed to Afghan police that he had committed the crime, but later told U.S. officials that he only did so because he had been tortured by them, making the evidence unusable under President Barack Hussein Obama's new rules for detainees. Jawad was ordered to be released last month by a federal judge after a war crimes case against him fell apart over a lack of evidence and concerns about his age. Jawad is now free in the same country that our brave troops are fighting in right now. CDR Kirk S. Lippold, Former USS Cole Commander and Senior Military Fellow at Military Families United, released the following statement concerning the news that Mohammed Jawad has been transferred from Guantanamo Bay and released in Afghanistan. “No coherent policy in the war on terror. No comprehensive plan in place to deal with the future of Guantanamo Bay detainees. No accountability for terrorists who harm our brave fighting forces. Now, in a what has become a sadly familiar pattern of decisions, the Obama Administration has released without trial Mohammed Jawad, a terrorist who attacked and wounded two U.S. soldiers and an Afghan citizen. CDR Kirk S. Lippold, USN (Ret.) was the Commanding Officer of USS Cole when it was attacked by al Qaeda terrorists in October 2000. CDR Lippold, who served on the Joint Chiefs of Staff crafting detainee policy in the initial stages of the war on terror, met with the President in February and with DoJ in June to discuss the closure of Guantanamo Bay. Tags: Afghanistan, al Qaeda, Gitmo, Islamic terrorist, Military Famlies United To share or post to your site, click on "Post Link". Please mention / link to the ARRA News Service. Thanks! Congress is still in recess until September 8th which is six days before the promised deadline set by Speaker Pelosi and Senate Majority Leader Reid for voting on pending national health care (or its new euphemism - Insurance Reform). Can we afford for Congress to even return to the abused halls of Congress? Last week in the Friday afternoon news announcements, was the hint that the federal budget deficit over the next decade would be $2 trillion larger than previously estimated. The new projection by the GOA announced today was a cumulative 2010-2019 deficit of $9 trillion instead of the $7 trillion previously estimated. The excuse: slumping revenues. Of course they couldn't admit the enormous federal spending above mandated needs like the military, social security, etc. So what about TARP and the Stimulus and Auto bailout? Well, they are arguing that the projected estimates for this year’s deficit may be $250 billion too high, because of money budgeted for TARP that wasn’t used. So instead of a $1.84 trillion deficit this year, the government may "only" have an additional $1.6 trillion shortfall. BIG DEAL! Consider this fact, a $1.6 trillion is more than 3.5 times last year’s record deficit of $455 billion. And the overall deficit of $9 trillion is 19.8 times, say 20 times, more than last years record deficit! The alarm bells on our nation’s fiscal condition have now become a siren. The non-partisan Congressional Budget Office reports the deficit for this year alone is already nearly as high as the last five years—combined—and is only getting bigger. And, if anyone had any doubts that this burden on future generations is unsustainable, they’re gone. Spending, borrowing and debt are out of control. Even the President’s own advisors acknowledge that the deficit in the coming years will be trillions more than projected just a few months ago. The massive national debt threatens long term fiscal health as a nation, our national security and our ability to meet our commitments to seniors, veterans and working families. There are two immediate steps we should take. We should review the trillion dollars in borrowed stimulus money with an eye towards applying it to paying off the federal credit card. And we must take the bipartisan step of reforming entitlements to strengthen the fiscal state of our existing commitments. Again, that is $9,000,000,000,000 deficit spending? This is the spending above the spending that is covered by revenue. Imagine what the total government spending over this period of time will be? Maybe all the local Pork is not worth what we are doing to our country and our children. And Obama wants another trillion for nationalized health care to be covered by what he claims is "savings and more taxes. Where is the sanity? - Can anyone say NO! Now, how does the Obama administration take the focus off this deficit? It feeds the media another story. Right on schedule, the Obama administration delivers the diversion. Attorney General Eric Holder announces the a special prosecutor to investigate the CIA’s use of harsh interrogation tactics. Holder is going to investigate the people who have kept us safe from the terrorists that have and are attacking America, while the Obama administration masks the attack on America via wasteful and unneeded spending domestically and overseas. Where is the sanity? - It appears there is NONE! Criticizing Attorney General Eric Holder for saying back in April that “[I]t would be unfair to prosecute dedicated men and women working to protect America for conduct that was sanctioned in advance by the Justice Department,” the Wall Street Journal editors write, "Mr. Holder had it right the first time. His about-face yesterday, compounded by his release of a 2004 internal CIA report on that agency’s handling of terrorists, opens a political war that President Obama, the CIA and above all the country will live to regret." Sen. Mitch McConnell (R-KY) rightly points out: "We must remain mindful that we still are very much a nation at war with terrorists who spend every hour of their day planning how to hurt America and Americans. That’s why reports that the Department of Justice has directed a special prosecutor to investigate the men and women tasked with keeping America safe is such a poor and misguided decision. . . . [T]he administration risks chilling our defense and intelligence community’s ability to protect us from future terrorist attacks by reopening this matter." Senate Intelligence Committee Vice Chairman Kit Bond (R-MO) said, "With a criminal investigation hanging over the Agency’s head, every CIA terror fighter will be in CYA mode. With things heating up in Afghanistan and Iraq, this looking back and unwarranted ‘redo’ of prior Justice Department decisions couldn’t come at a worse time for the safety of our troops in harm’s way and our nation." Beyond the fact that it’s simply a bad idea to reopen this can of worms, the appointment of a special prosecutor means this investigation could go way beyond its stated scope. According to the LA Times, "Unfortunately, the pressure . . . to indict someone will be overwhelming," said Mark Lowenthal, a former senior CIA official. "That will produce ‘two simultaneous unappealing outcomes," he said. "Half the population will think it is a whitewash and the right people weren’t indicted. And half the population will think it is a lynch mob." "If the White House thinks they can control this," Lowenthal said, "they aren’t nearly as smart as I think they are." In a letter to Holder, Sens. Kit Bond, Jon Kyl, Jeff Sessions, and other GOP senators similarly warned "there is a real risk that [this] announcement portends a long, arduous, and unpredictable process for the intelligence community." The Wall Street Journal agrees, noting that "special prosecutions, once unleashed, have often been impossible to control." The LA Times writes, "At a time when health care and other signature initiatives are in trouble on Capitol Hill and President Obama’s approval ratings are slipping, he now faces the prospect of a long, distracting probe into policies of the Bush administration . . . ." Even Democrat strategist James Carville agrees, saying on CNN yesterday, "This is terrible politics for the Obama administration and the Democrats. . . . The country – like – really doesn’t want this." For an administration that claimed it wanted to look ahead and focus on priorities such as health care and the economy, refighting battles over CIA interrogations that only the far left appears interested is at best a distraction. Remember this phrase; "Bait and Switch." The Obama Administration appears to be presenting a distraction to refocus the public away from the major pending problem - a national train wreck. It's an old con game that a former community organizer would know how to play. Government used to warn us that they wouldn't be able pay for social security and medicare in the future. Yet, they are now running up a cumulative 2010-2019 deficit of $9 trillion and expect us to accept it. Make's you wonder why? Not being conspiratorial - is this a nationally orchestrated train wreck or is Congress and the Obama Administration really that stupid? Tags: CIA, Eric Holder, Kit Bond, National Debt, Obama administration, special prosecutor, train wreck, US Congress, Washington D.C. To share or post to your site, click on "Post Link". Please mention / link to the ARRA News Service. Thanks! Update: The Republican Party of Arkansas (RPA) has announced its third stop on the “Listening to Arkansas” Tour which will stop in Russellville at 10:00 a.m on Wednesday, August 26 at the Pope County Courthouse Quorum Court Room (100 West Main Street). Republican Party of Arkansas (RPA): A “Listening to Arkansas” Tour in which state party chairman Doyle Webb, state legislators, and local medical personnel will host health care town hall panels in order to bring ideas and action together for real health care reform for the everyday Arkansan. The first of several town hall meetings will take place this Saturday, August 22 at 125 N. Market Street in Benton, Arkansas at 1:00 p.m. The forum will be open to both the public and press, and will include RPA State Chairman Doyle Webb, State Representative Ann Clemmer, State Representative Ed Garner, and State Representative Dan Greenberg. Each panelist will have five to seven minutes for opening remarks, and will then go on to take questions and comments from the audience. The second stop on the “Listening to Arkansas” Tour will be Monday, August 24 at 2405 E Highland Dr. in Jonesboro, Arkansas on Monday, August 24 from 4:30 p.m. to 5:30 p.m.
RPA Chairman Doyle Webb, U.S. Congressional Candidate Rick Crawford, and other panelists will be on hand to speak, discuss health care legislation options, and take questions and comments from the audience. Tags: Arkansas, Benton, Jonesborro, Listening Tour, Republican Party of Arkansas, RPA To share or post to your site, click on "Post Link". Please mention / link to the ARRA News Service. Thanks! by Bobby Eberle: Much is being made about provisions in Barack Obama's health "scare" plan which suggest that seniors be denied care and be given counseling to prepare for the end of their lives. How scary is it that a government bureaucrat or panel could decide if your life is worth living? Well, the Obama administration continues its effort, but this time the focus is a "do it yourself" checklist that is being provided to veterans to "help" them determine if they just don't want to go on any more. The checklist works as a political push poll, steering veterans toward conclusions that normally wouldn't be chosen. If this kind of practice is acceptable at the VA, just think what will end up in Obama's health care laws if they pass! The document in question is a 52-page publication titled Your Life, Your Choices and it is being promoted by the VA's National Center for Ethics in Health Care. As noted in a Wall Street Journal article by former Bush advisor Jim Towey, "If President Obama wants to better understand why America's discomfort with end-of-life discussions threatens to derail his health-care reform, he might begin with his own Department of Veterans Affairs (VA). He will quickly discover how government bureaucrats are greasing the slippery slope that can start with cost containment but quickly become a systematic denial of care." According to Towey, the document was originally published in 1997. However, after the Bush administration "took a look at how this document was treating complex health and moral issues, the VA suspended its use." Towey also notes that the primary author of the publication is Dr. Robert Pearlman, "a man who in 1996 advocated for physician-assisted suicide in Vacco v. Quill before the U.S. Supreme Court and is known for his support of health-care rationing." On page 21 of Your Life, Your Choices is a checklist designed to help you figure out whether your life is worth living. One would think that such a "checklist" might deal with end of life situations such as being in a coma or being alive but considered "brain dead" my medical professionals. This checklist contains questions such as whether you are a "financial burden" on your family or whether you "cannot seem to 'shake the blues.'" With each item, the veteran is supposed to evaluate whether that condition contributes to feeling that his or her life is not worth living. As Towey notes: The circumstances listed include ones common among the elderly and disabled: living in a nursing home, being in a wheelchair and not being able to "shake the blues." There is a section which provocatively asks, "Have you ever heard anyone say, 'If I'm a vegetable, pull the plug'?" There also are guilt-inducing scenarios such as "I can no longer contribute to my family's well being," "I am a severe financial burden on my family" and that the vet's situation "causes severe emotional burden for my family." <-- Here's an interview [video] with the VA's Tammy Duckworth regarding the document. At the heart of the discussion is not only the document, but a VA directive distributed in July of this year which "instructs its primary care physicians to raise advance care planning with all VA patients and to refer them to 'Your Life, Your Choices.'" Duckworth denies such emphasis on this end of life document, but the directive is cited directly by Fox News anchor Chris Wallace and by Towey in his column. Obama is facing increased criticism of a health care plan that takes away power from individuals and places it in the hands of government officials. Then, he goes around the country denying he's going to do what the bill says it will do. If he wanted to send a message about the value of life, then he surely should not sit still while the VA brings back such a controversial document. Just what does Obama and his team value other than a bigger, more powerful government? Tags: Bobby Eberle, death panels, GOPUSA, nationalized health care, Obamacare, Tammy Duckworth, VA, Veterans Administration, video To share or post to your site, click on "Post Link". Please mention / link to the ARRA News Service. Thanks! That’s precisely the kind of case that all Americans are having to judge right now concerning the healthcare reform proposals being pushed by Democrats in Washington. We hear it everyday in the press – the President says anybody who likes their current health insurance will get to keep it, while opponents say all private health insurance will be gone by 2013. Democrats in the House say their plans will control rising healthcare costs, while opponents say it will drive costs even higher. Opponents say the new system will eventually start denying care to elderly, and encourage euthanasia, while supporters say it won’t. Who’s right? With our very lives at stake, along with 19% of our gross domestic product, being wrong could be deadly for us personally as well as our free market economy. Let’s examine the evidence together. In looking at the both sides of this case, let’s leave out the emotion and political rhetoric, and try to look at just the facts on each major point. We can do better. We don’t need the federal government to take over the healthcare industry, we just need some commonsense bipartisan reforms. First, we are already in bipartisan agreement to make affordable health insurance available to folks with pre-existing health conditions who are presently barred from buying a health plan. We can let small businesses and organizations join together to purchase group insurance at the same affordable rates as big business, allowing more small employers to offer coverage. We can remove restrictions on buying health insurance across state lines, letting families in prohibitively high-cost states purchase affordable plans in other states. To pass these reforms will require a simple concession from the Democrat majority. That is to agree to work with Republicans in a bipartisan effort, and listen to both sides of the case before reaching a verdict. Tags: abortion, euthanasia, health care, jobs, John Carter, John Stone, Obamacare, Single payer plan, Single payer system, single-payer, unemployment To share or post to your site, click on "Post Link". Please mention / link to the ARRA News Service. Thanks! The first Republican Arkansas Listening Tour was held in downtown Benton Saturday afternoon to exchange ideas on health care. Lots of suggestions were offered but the one thing that seemed all agreed upon was that they did not support the ideas that President Obama is advancing on health care reform. State Representatives Dan Greenberg, Ann Clemmer, and Ed Garner along with Doyle Webb all offered their ideas and listened to the ideas and questions of those in attendance. Jason Tolbert of the Tolbert Report was there and recorded the event. He also interviewed and talked thewith the speakers as displayed in the second video. Tags: Arkansas, Benton, government healthcare, Listening Tour, Republican Party of Arkansas, RPA To share or post to your site, click on "Post Link". Please mention / link to the ARRA News Service. Thanks! I, David William Hedrick, a member of the silent majority, decided that I was not going to be silent anymore. So, I let U.S. Congressman Brian Baird have it. I was one questioner out of 38, that was called at random from an audience that started at 3,000 earlier in the evening. Not expecting to be called on, I quickly scratched what I wanted to say on a borrowed piece of paper and with a pen that I borrowed from someone else in the audience minutes before I spoke. So much for the planned talking points of the right wing conspiracy. Well thank you David for saying the words that many of us would like to tell our Democrat Representative if they were not too busy hiding from their constituents. Tags: government healthcare, Marines, Townhall, veterans, video To share or post to your site, click on "Post Link". Please mention / link to the ARRA News Service. Thanks! Doyle Webb: "After the November election last year, a lot of people pronounce the Republican party DOA. It was 'dead on arrival;' and today we see new life in the republican Party and a lot of activity among conservatives and the recruiting of candidates is outstanding. So, my message is we are going to see a new day in 2010. It will be a banner year for Republicans in our state and in this county." Webb said he believes the policies of President Obama's administration will have a trickle down effect on both the state and local levels. Doyle Webb: "When people become acutely aware of taxation, and indebtedness, and government involvement at the Federal level, the go to looking at 'what is going on in my county and at my state level.' And that will trickle down. In matter of fact, Arkansas voted 58% percent for the McCain-Palin ticket in 08. And that was the first time Arkansas cast it's electoral votes for the Republican when the nation elected a Democrat. We believe that started the trend and for people understanding that clearly the definition between a liberal Obama administration and a more conservative Republican administration. We think that will carry forward down to every level of government." Bill Smith, ARRA Editor: RPA Chairman Doyle Webb Visit Baxter County on Tuesday. He was the guest speaker at the Baxter County Republican Men's Club and spoke to packed house which was open to the public. Republicans also attended from Marion, Fulton and Izard counties. Webb delivered a positive and fact filled speech for a half hour and then answered questions for over a half hour Webb shared about the upcoming Arkansas GOP “Listening to Arkansas” Tour . After the meeting, Webb was invited to speak to media at Mountain Talk Radio 97.1 and then at Mountain Home KTLO 97.9. Webb then visited with area Republican leaders, potential candidates, pending activities, and the new RPA website activity. Webb returned to speak to the Baxter County Republican Committee in the evening and recognized 18 year old committee member, Richard Caster. for Caster's volunteer work sponsoring the Ozark Tea Party as an independent conservative outreach to the public. Tags: Baxter County, Doyle Webb, guest speaker, Listening Tour, Republican Party of Arkansas, RPA To share or post to your site, click on "Post Link". Please mention / link to the ARRA News Service. Thanks! A new study released by The Heritage Foundation's Center for Data Analysis reveals the tremendous costs and energy price spikes that Arkansas residents will incur should Congress enact the Waxman-Markey climate change legislation. Inevitably the bill will affect each state differently," explains Heritage's energy and economic policy team. "Some states are more energy-intensive than others, and some rely a great deal on manufacturing to fuel their economies. Regardless, the costs in every state are significant." On June 26, a 1,427-page climate change bill introduced by Representatives Henry Waxman (D–CA) and Edward Markey (D–MA) passed the House by a narrow margin. The bill, also known as Waxman–Markey, includes a number of alarming provisions, chief among them a cap-and-trade program that would attempt to curb global warming by imposing strict upper limits on the emission of six greenhouse gases, with the primary emphasis on carbon dioxide (CO2). The mechanism for capping these emissions requires emitters to acquire federally created permits (or "allowances") for each ton of greenhouse gas emitted. Workers and families in Arkansas may be wondering how cap-and-trade legislation would affect their income, their jobs, and the cost of energy. Implementing Waxman-Markey would put a chokehold on Arkansas's economic potential, reducing gross state product by $3.67 billion in 2035. Consumers would be hit hard. Between 2012 (when the restrictions first apply) and 2035 (the last year of this analysis), the prices of electricity and gasoline will rise sharply when compared to prices in a world without cap and trade. By 2035, Americans living in the state of Arkansas will see their electricity prices rise by $1,358.72 and their gasoline prices rise by $1.27 per gallon solely because of Waxman-Markey. As the economy adjusts to shrinking gross domestic product (GDP) and rising energy prices, employment will take a big hit in Arkansas. Beginning in 2012, job losses will be 14,133 higher than without a cap-and-trade bill in place. And the number of jobs lost will only go up, increasing to 25,594 by 2035. Contrary to the claims of an economic boost from green investment and green job creation and "postage stamp" costs, the Waxman-Markey climate change legislation does the complete opposite by increasing energy prices-thereby causing a considerable reduction in the rate of economic growth, the amount of GDP, household incomes, and employment. David W. Kreutzer, Ph.D., is Senior Policy Analyst for Energy Economics and Climate Change, Karen A. Campbell, Ph.D., is Policy Analyst in Macroeconomics, William W. Beach is Director of the Center for Data Analysis, Ben Lieberman is Senior Policy Analyst in Energy and the Environment, and Nicolas D. Loris is a Research Assistant in the Thomas A. Roe Institute for Economic Policy Studies at The Heritage Foundation. Tags: Arkansas, cap-and-trade, carbon tax, Carbone Dioxide, CO2, Ed Markey, Henry Waxman, The Heritage Foundation To share or post to your site, click on "Post Link". Please mention / link to the ARRA News Service. Thanks!